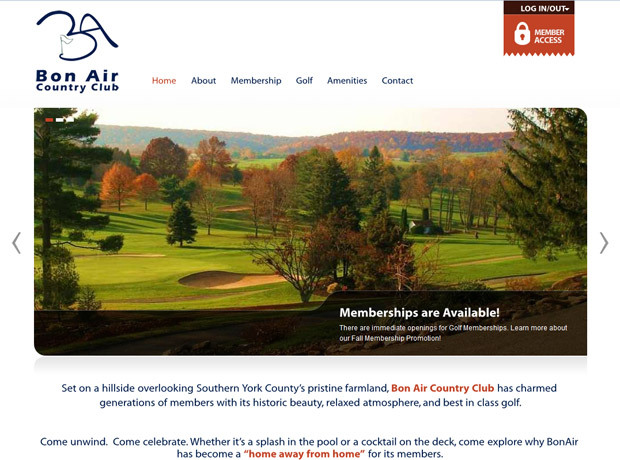 Bon Air Country Club is a private facility with a cap of 375 golfing members and 145 swim social members. They are located in Glen Rock, Pennsylvania, 20 miles south of York, ten minutes from PA exit 8 of I83; and 40 miles north of Baltimore’s Inner Harbor; ten minutes from MD exit 36 of I83. Thier facilities include a par 71, 18 hole golf course that measures 6415 yards from the white tees and 6704 from the blue tees.